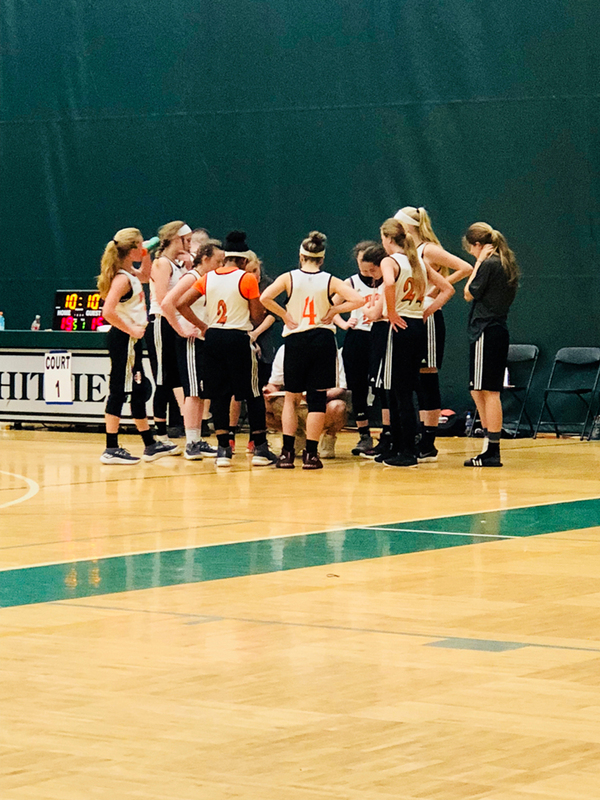 Girls 7th/8th Grade Team huddling up during a time out for instruction on their next play! Since 2002, Indiana S.W.I.S.H. has been providing opportunities for many of the area’s best players to showcase their talents in front of college coaches while continuing to build on their current skills. Our teams have won over 150 tournament titles including; 4 Adidas National Championships, several U.S. Jr. National events, multiple Mid-West Youth Tournament Nationals Championships as well as a host of other regional events. Through the years we have helped place over 130 student athletes at the next level! This only happens because we practice hard, train smart, and play together. Ultimately, they will become stronger players, both physically and mentally, while gaining better exposure to college coaches as they progress. Besides being very gifted players on the court, they are required to be fine young individuals in the classroom and at home so they represent EBA and themselves in a very positive manner.